Travel is sometimes not just about reaching the destination –the beaches and the colourful town, but often it’s driven by a desire for new experiences, cultures and people, and an intense urge to explore more and go further just as much about what happens along the way. Often, even the most talented wordsmith can’t paint the mood and the magic of a new place the way your camera lens can, creating the best digital record and memories that will last forever. Because of these latest travel trends, the travel industry is flourishing at a rapid rate to create more opportunities, personalized trips and experiences than ever before. Here is the thing, a brand-new concept of incorporating travel and social media has taken the internet by storm. Here, I am talking about a new travel website, TravelUR – the world’s first travel platform helping a traveler in every step of their journey. Setting them apart from the existing platforms of similar niche is their USP of amalgamating travel and social media. They let you meet and plan trips with like-minded travellers and make connections based on your travelling profile. You can make friends online where even on the go to make your travel family bigger and happier. As the name suggests, TravelUR- Travel + UR a one stop shop for globetrotters to do a lot of wonders and ease your travel without burning a hole in your pocket. Talking about the choices to offer, they have a tie up with the best hotels, offer great packages and have access to everything needed to make your journey memorable, comfortable and effortless. 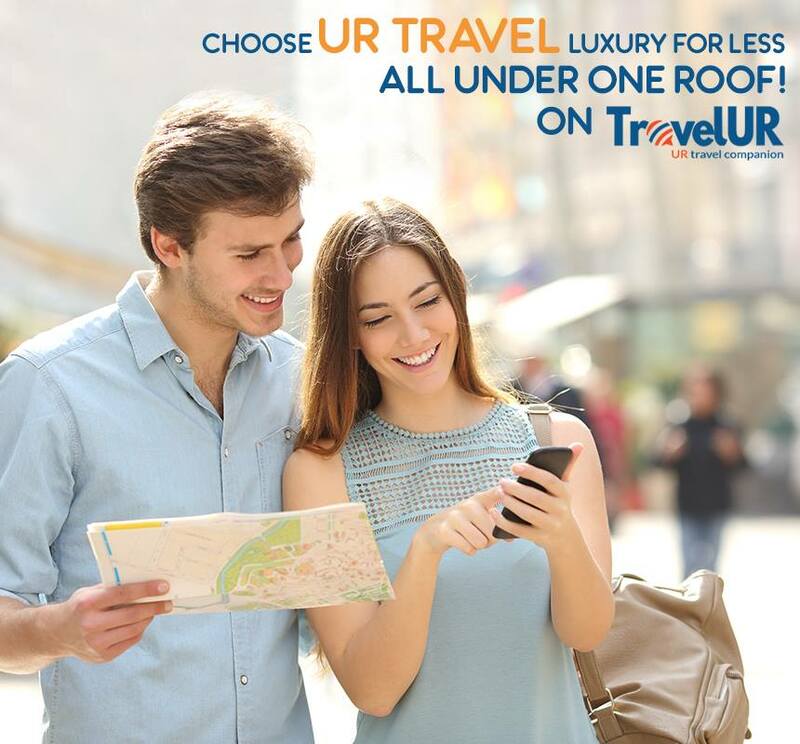 A perfect blend of travelogue and fair fares, TravelUR brings you the best of both. It gives you fun-filled experience along with detailed, unfiltered information of amazing itineraries, mapping all the destinations around the world and making your travel planning hustle free. TravelUR has entered the new era of socialized travelling and with their strong brand and fresh concept of ‘socializing while traveling’, they are likely to redefine e-commerce for travel portals. Started as single man’s vision to revolutionize Travel in India and beyond, they are a team of 25 people consisting of Global executives, Technology architects, Travel domain experts, Software engineers, Product owners, Digital marketers, Business analysts and Blogging experts, all of them passionate about the journey – theirs and yours too. They have the vision to make your travel more memorable, meaningful and hassle free. With TravelUR, planning your dream vacation will be awesome easy, and with some of their amazing features, TravelUR is believed to be a unique Travel platform. Create your personal Travel profile and get the deals of your choice. Research a plethora of destinations, deals and reviews and choose the best fit. Book your tickets through TravelUR without any convenience or hidden fees! Track all your itineraries & travel plans all in one place! Connect with friends and colleagues and you can even create your own groups with the people you like, to share those special Travel experiences! Create life time memories by storing all your travel related media on TravelUR and then share them digitally with family, friends, colleagues, co-travelers and communities without risking privacy. Earn fantastic giveaways like free World Tour and much more by referring friends, making transactions and being a top contributor of TravelUR! Communicate directly with fellow travelers and engage directly with service providers to learn about the services, ratings, reviews, and personal experiences! You can even compare prices & experiences! This simplification helps you plan your holidays better – neater choices, better prices, and more insights, for a hassle-free holiday! They bring to you an instant access to true inspiration to travel with an awesome concept of “finding travel friends”, like-minded travellers who experience similar chronic wanderers like you do. They are digital storytelling technology that let the future generation on its voyage of discovery about fun, frolic travelling experiences. This does not end here! You can book tickets with zero or reduced transaction fees with an information on destinations, holiday options and reliable reviews and experiences from the known people. On offer, they giveaway delighting deals based on each choice and interests ranging from choosing itineraries, shortlisted activities, and services based on popularity ensuring access to economical, secure tours and travel packages from certified providers. What’s more? Get rewarded for your travels! Yes, you read that right! They have reward points for frequent travelers based on your profile and likes and you get a chance to earn fantastic giveaways like a free ‘world tour’. All you need to do is create your profile, invite friends, family, and neighbors to join TravelUR and get yourself one step closer to winning the fantastic giveaways. To wrap it up, TravelUr is an instant access to entire globe in just one click. Embrace this technology and embark on the boundless journey of a brand-new experience like never before.